Michael Block's Blog | The ".org" means it's good! The ".org" means it's good! Michelle deserves 90% of the credit for this one. Ryan and I probably get to split the remaining 10%. We used data from Topsy to get social media information for this infographic but Michelle did all of the real work. Give it a look and get excited for the game tonight. I’ve got the Gators in my Final Four bracket, so I’m going to be going against the grain and rooting for Dunk City to become Sunk City tonight. What can I say, haters gonna hate! Once you graduate college, you begin to realize changes in life that make you feel old. This sort of thing gets worse with age and at a certain point, something happens and you realize that you no longer feel old, you just are old. Well, today, I think I hit that moment. Google reader is scheduled to be sunset on July 1st. Google Reader is the RSS feed aggregator of choice for many, including myself, and its probably the most significant RSS feed aggregator still out there. RSS feed aggregators help users take information from various sites and bring them all into one feed so that users can very quickly browse through headlines and focus on the articles that grab their attention. In my Google Reader, I’ve got feeds from the Economist, TechCrunch, Wired, Business Insider, Deadspin, Search Engine Land, Dinosaur Comics, and more. It really helps me stay up on current events in the categories that I care about. The death of Google Reader will likely usher in cries of “RSS is dead!” and those who believe this are probably right. RSS has been going the way of the dinosaur for a while now, so this isn’t particularly shocking news. The reason that it makes me realize that I am old is not because I love RSS so much; I feel old because I have no clue what I’m supposed to replace it with. When compact discs died off, I was fine because I was already aboard the MP3 train. The only folks who felt lost are the same people buying “Now That’s What I Call Music: Volume 142” from their televisions. With RSS dying, I feel like I’m losing something incredibly functional to me with no idea of how I’m supposed to continue efficiently consuming my news! So, my question to everyone else is, what have you done to fill the RSS hole in your life? How do you stay up to date on what’s going on without visiting dozens of different sites? What’s the next big thing that I clearly missed out on? Help this old codger out; I’m clearly no longer with it anymore and it’s weird and scary to me. BusinessInsider is reporting that California will be one of the states most dramatically affected by the sequester as it currently stands when it comes to education. The map above shows the relative amount of federal dollars for higher education that will not make it to each of the states. The more affected states are represented in darker colors. Unfortunately for my state, California is leading the way for this metric as well as several others. Whether or not you agree with sequestration, the cuts to education seem to be universally reviled. California is a state that already has some of the greatest woes in the nation when it comes to education, ranking 48th out of 50 states in 25-year-olds with a high school degree or equivalency, and these deep cuts in federal funding are certainly not going to help. But it’s not all doom and gloom! 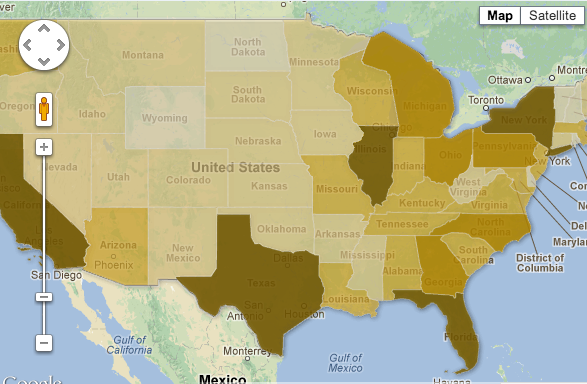 I mean, it is a pretty cool interactive map that BI was able to make! Maybe Congress and the President will find a way to solve the situation (or kick the can down the road, as they are wont to do) and maybe they won’t but at least we live in a world with the technology to understand the situation using such cool and interesting graphics. That should cheer you up, right? Yeah, me neither. Over at Wpromote, we do a lot of work with infographics. They’re great fodder for SEO because they very quickly and simply present information in an easy-to-digest fashion. This makes them more likely than other types of content to find their way onto other blogs, websites, and social networks. As infographics become more widespread, though, they’re also making their way into more engaging formats such as HTML5, Flash, and, of course, video. The video above is not only a wonderfully educational piece about an incredibly important societal issue, it’s also an outstanding demonstration of the power of data displayed in an intelligible fashion. 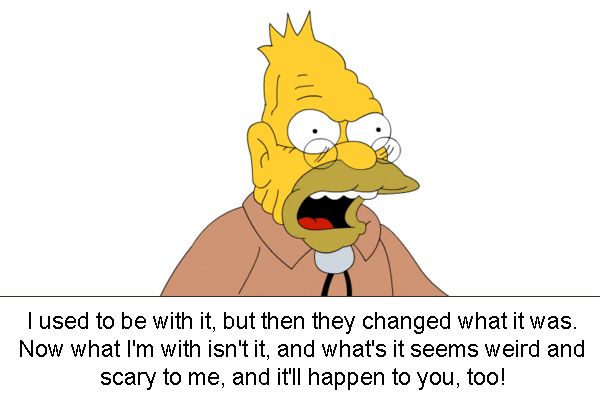 This same speech without the visuals would have sounded abstruse and would have been far less impactful. Not only that, but it would have been longer, boring, and likely ignored by the Freakonomics blog. Every once in a while there are rumors in the SEO community that a certain trick of the trade will no longer work when it comes to increasing a website’s rankings in the search engines. The efficacy of infographics have been included among these rumors. I, for one, don’t think that anything can be completely discounted and a video like the report on child mortality myths above show why. Ultimately, it’s always going to be about value. If you put out a spammy, dull, poorly made infographic, you shouldn’t expect anyone, much less Google, to take notice. However, if you’re presenting valuable information that people care about using visuals that make it easier to understand, you’ll likely see gains in terms of the amount of attention given to your asset and the affect on your search engine rankings. Value doesn’t always have to be as heavy as a video about child mortality statistics; a well done infographic about statistics associated with ice cream could be just as interesting. As long as you’re providing value to someone, though, you’re on the right track and the SEO will likely take care of itself! The folks over at Whisky Advocate (formerly Malt Advocate) know their way around the world’s greatest beverage. Once a year, they give out awards to recognize some of the best bottles available to the public and, in an effort to help spread their message, I try to recap it for you in a few easy links. Yet another great list but I have to admit that I’m disappointed by some of the selections. 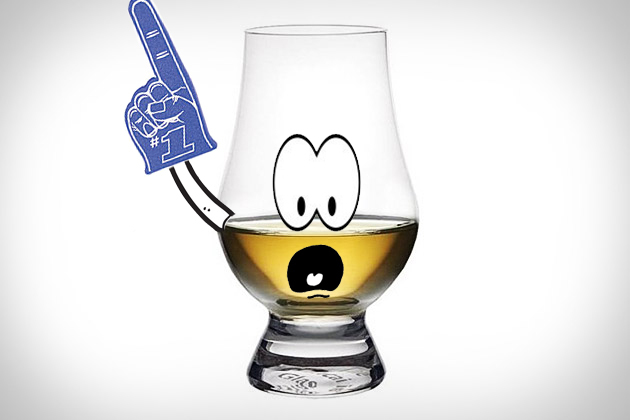 I love whiskies of any stripe but single malt Scotch is, hands down, my absolute favorite. In the past decade or so, single malt Scotch has become increasingly popular and distillers have met the challenge by increasing the volume and variety of production. This list certainly shows off what are the probably the finest Scotches in Scotland, however, my problem with it is that I’ll never know for sure! Of the five Scotches listed, exactly zero are priced below $100/bottle. Only one comes in under $300/bottle and it’s the lone blend of the group. One bottle, it should be worth noting, is worth more than my car. To put that in perspective, I’ve got something like 20 bottles at home that run the gamut in terms of flavor and price and only one routinely sells for over $100… and it was a gift! Furthermore, it would be incredibly difficult to find any of the winners in even the best specialty shops in the US. There are so many affordable Scotches out there that are truly outstanding and affordable; it’s just a shame that none of them made the list. That said, maybe there is something to be said for simply picking the best of the best without worrying about affordability or availability. What do you think? Did any of your favorites fail to make the list but are still worth a mention? Let me know in the comments! 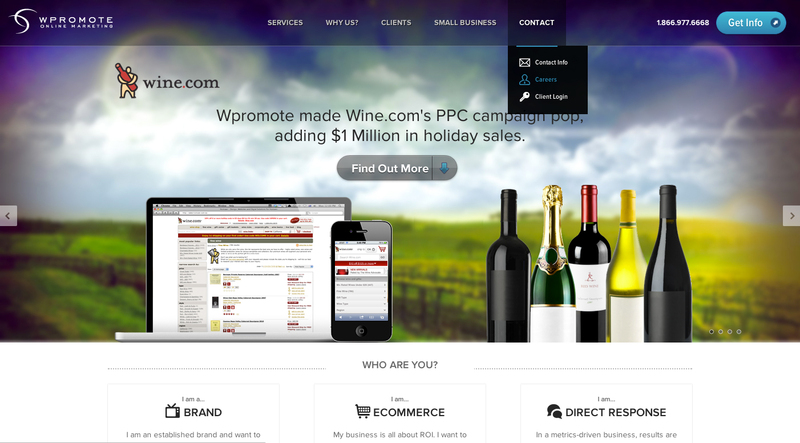 Wpromote, the online marketing firm for which I work, just launched their new website and it’s stunning. Sure, I’m probably biased but I am really impressed with what our guys were able to accomplish. Special thanks to Jamie, Jenny, Marcy, and Becky in Marketing for the way it looks and to Ryan and Kevin in programming for how well it works. We’re lucky to have such a talented team! Happy New Year, everyone! Based on excerpts from my Facebook feed, the consensus seems to be that 2013 is going to be a good one and, personally, I’m inclined to agree! The end of the year/new year transition period generally brings two things when it comes to articles in the media: 1) recaps of the previous year and 2) bold predictions for the new year. My good friend, Erik, shot me an article from the latter camp that suggested that the “New SEO” would favor content over tactics and that that would be good for publishers. It’s a well-written article from August of 2012 that’s making the rounds again now. I wrote a response to Erik but I realized that it might be useful to post it as a blog (which is why you’re reading this now, even if you aren’t Erik). So, to begin, the notion that SEO is about creating good content rather than “fooling” the search engines has been the way of the world since at least early 2011 for agencies like Wpromote, the company for which I work. As a result, it seems the author is trying to speak to the layperson rather than SEO experts. Perhaps that was precisely his intention. Also, and this is what’s much more interesting to me, there’s still a strong argument to be made that the “content is king” platitude is not even close to a truism yet. 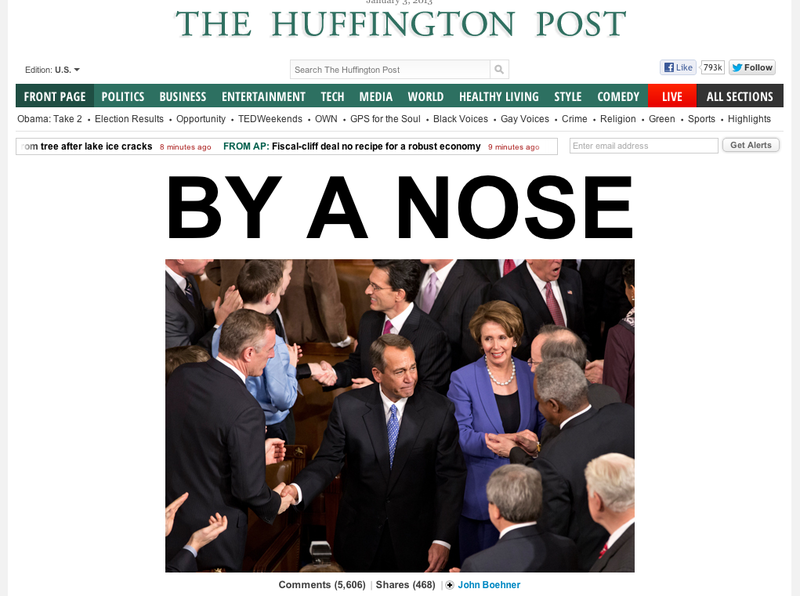 For example, take HuffingtonPost.com, a site that is extremely successful at SEO. This site does create original content but the vast majority of their content is reposted from other sources and they’ve been criticized harshly for this very reason. HuffingtonPost.com has denied the allegations but that’s not what I came here to point out, although there is ancillary relevance to the discussion. The headline links to this article with a much more SEO friendly title. This is essentially a repost of the Associated Press story that is cited in the article. Note that although they used essentially all the text in AP story, HuffPo didn’t actually link back to AP.org despite linking to other HuffPo articles five times!¹ In my opinion, there’s nothing necessarily unethical going on but I would always recommend linking back to the original source as common courtesy at the very least. 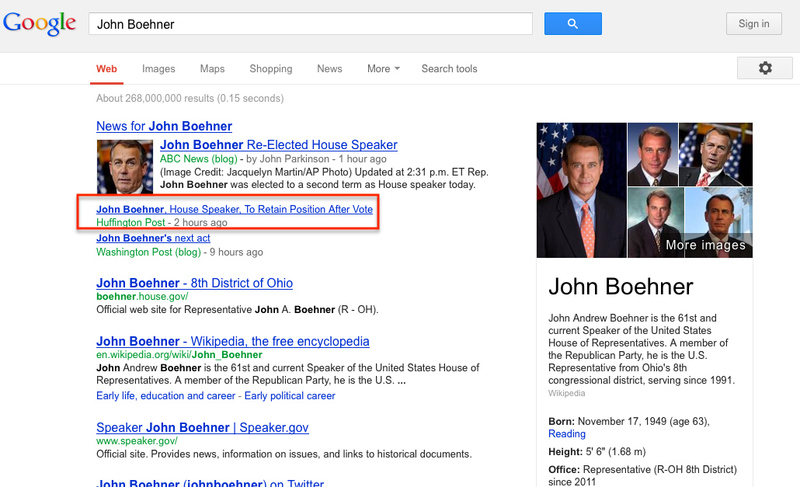 However, from an SEO perspective, it doesn’t benefit HuffPo to give another news source a link, so why do it? Plus, they got to use all of the keyword-rich text that the AP story used by citing it in full. What do you know?! The HuffPo article is one of the top links and AP is nowhere to be found. Google still isn’t good at assigning credit in this situation in the short term but the short term is all that really matters. Even if the AP article manages to outpace HuffPo’s in the future (unlikely anyway), nobody will care by tomorrow. It will quite literally be old news. So, there you go: HuffPo waited for the AP story to come out, added a little bit of left-wing seasoning to appeal to their audience², copied and pasted the AP story in full, stuffed the top of the story with the relevant keywords that people will likely use to find the story in Google (look at the “FOLLOW” tags), and win another round of the SEO game thanks to tactics triumphing over content. I’m not suggesting that HuffPo did anything wrong–that’s an argument for another day–I’m merely pointing out an issue that will continue be difficult for Google to deal with. Nothing is ever simple in the world of SEO and although it’s getting tougher and tougher to game the system, it can still be an effective strategy when done properly using accepted best practices. ¹ I would be remiss to leave out that HuffPo does link to an NPR story, however, given that the AP story is cited in full, I felt that this point was somewhat irrelevant to the fundamental argument of the post. Yesterday was Wpromote’s in-office party and white elephant gift exchange to celebrate the holidays. I ended up with a pretty spiffy DVD set of part 2 of season 1 of the original GI Joe animated series. I know what you’re thinking, “What about part 1, Mike? Won’t you be lost?” The answer, of course, is that it absolutely doesn’t matter because I will be re-gifting this for some other unlucky schmuck at a future white elephant party. I don’t even own a working DVD player! The gifts weren’t all bad, though. Our own Ryan Farrell came up with a pretty ingenious idea for a white elephant gift. He hollowed out a loaf of bread (see below) and shoved a bottle of vodka inside. At first glance, this may not sound like a very big deal, however, if you’ve ever been to a white elephant party, you’ll realize that a savvy white elephant player would know that he is the only person aware of the unexpected weight of the loaf of bread and would quickly come to the conclusion that something special and bread-shaped is being kept inside. If the player realizes this before saying anything, he would do well to feign disappointment over having received a seemingly normal loaf of bread; after all, nobody would steal a loaf of bread, right? Once all of the thievery is done and gifts are selected, it would then be time to reveal the glorious booze inside! The truly brilliant aspect of this maneuver is that it’s a completely altruistic endeavor. The giver of the hidden booze is doing something awesome not for himself but for the opener of his gift. And isn’t that what the holidays are really all about? Of course, he could always steal his own gift back when his turn arises but, as anyone who has participated in a white elephant party knows, that is the ultimate jerk move and he would summarily lose the respect of his peers that he just ruined a perfectly good loaf of bread to gain. It’s a beautiful and self-correcting system. Hat’s off to Wpromote’s creative team! I just wanted to take a moment to give kudos to the creative minds at Wpromote behind some recent infographics. If you’re unaware of what an infographic is, you can read more about them here. They’re essentially just visual displays of data in a fun and digestible format. They take a lot of research and talent to create and our team (especially Ryan and Michelle) does a wonderful job. Check out some of their latest work below! This video is so great, so stupid, and–least surprisingly–so Microsoft. I’ll explain that but, first, let me give you some context. A few months ago, Google announced that it’s somewhat popular but often ignored free service, Google Shopping (formerly Froogle), would become a pay-to-play environment. These new ads would be called PLAs or Product Listing Ads. This was met with a lot of pushback by some who were ranking well in Google Shopping but met also with some optimism from those who weren’t ranking well and had nowhere to go to find out what they could do about it. Therefore, although nobody likes ads, the system is still powered in an identical fashion (i.e. shopping feeds from e-commerce sites). The only thing that has changed is the way that Google determines rank, which is now done by willingness to pay in addition to relevance. Chances are good that you had no idea about any of this, unless you worked at Wpromote or an agency like ours. Chances are better that, now that you know, you still don’t care. That’s precisely why this video is so strange. It’s actually a nifty little indictment on the abundance of ads on a Google search engine results page (SERP) but it’s a criticism of something that, ultimately, is esoteric at best and irrelevant at worst.